Let the luxury of the Catanzaro power reclining loveseat with console carry you away. 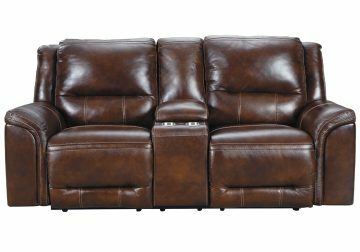 Decidedly modern, with clean-lined divided back styling, this reclining loveseat entices with genuine leather covering the seating area and armrests for a supple feel. 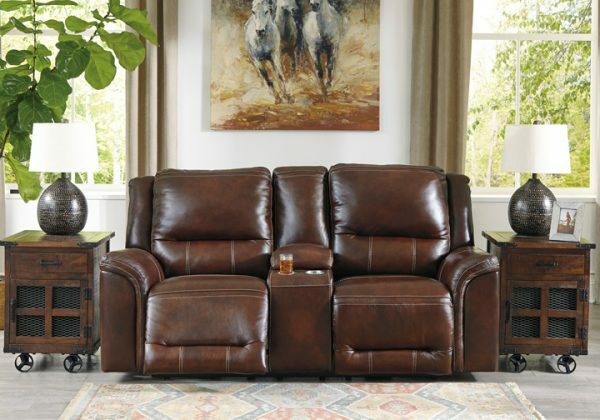 Even when you’re kicking back you’ll still be perfectly positioned to read or watch TV thanks to the Easy View™ power adjustable headrest. And how’s this for a bonus: a convenient USB charging port located in the power control, so you can recharge while you chill.